Sonic Team just updated the Sonic Adventure 2 official homepage in a big way! Details on a whole heap of new levels were revealed, as well as a stack of screenshots to show how awesome they looked too! Continue reading Five New Stages in Sonic Adventure 2 Revealed! Rumour: Sonic Dreamcast Bundle Coming Soon? The Sega Dreamcast will be getting a special Sonic-themed bundle soon, according to a listing on US retailer EBGames. You can see the pack here, which comes with a special packaging and will apparently include a blue VMU memory card and copies of Sonic Adventure and Sonic Shuffle, along with a demo for Sonic Adventure 2. Continue reading Rumour: Sonic Dreamcast Bundle Coming Soon? Finally, that burning question has been well and truly answered. In an interview with IGN Insider, Sonic Adventure 2 director Takashi Iizuka confirmed that Sonic’s pink admirer, Amy Rose, will indeed play a part in the game’s story. But unfortunately (or fortunately, depending on your viewpoint) she will not be playable. It’d be interesting to see how she makes an impact on the plot when the game’s released. Will Sonic Advance Be A Japan-Only Release? Sonic Advance could be limited to a Japan-only release, according to information currently published on the official Game Boy Advance website. If that’s the case, it would be really maddening – and it wouldn’t be a great way to kick off Sonic’s third-party venture either. Continue reading Will Sonic Advance Be A Japan-Only Release? If you want to get your hands on Sonic Adventure 2 in the UK, you should head on down to London’s famous Oxford Street shopping district. According to Sonic HQ, Sega is showcasing a new demo version of the game in a number of Dreamcast pods near the ‘Miss Selfridges’ store. It’s a more complete demo, featuring more content than you can find in the PSO demo disc; you’ll be able to play the first level of each character’s story. Let us know what you think! Not exactly earth-shattering news, but IGN is reporting that SEGA is showcasing demo versions of Sonic Adventure 2, Phantasy Star Online and a number of other Dreamcast titles at the Game Developers Conference 2001. 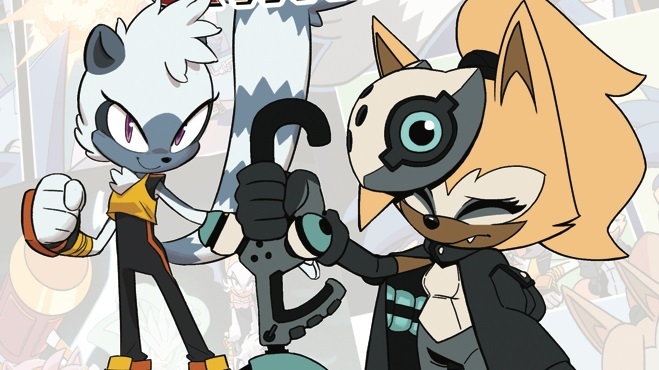 No new information was gleaned from these appearances, but it does show that the House of Sonic is still supporting its final console even as it pushes towards third party publishing. Only a few more months to go until SA2, folks! Even after 18 months on store shelves, Sonic Adventure remains one of the biggest-selling Dreamcast games ever! Below is the latest Top 10 Chart for Dreamcast games, and as you can see the launch title is still riding high in the top 5. Full list below – keep running, Sonic!